My nails started with a simple manicure suitable for Valentine’s Day. I’ve started the week with a basic manicure in OPI Big Apple Red. The fiery red represents passion and love just in time for Valentine’s Day! 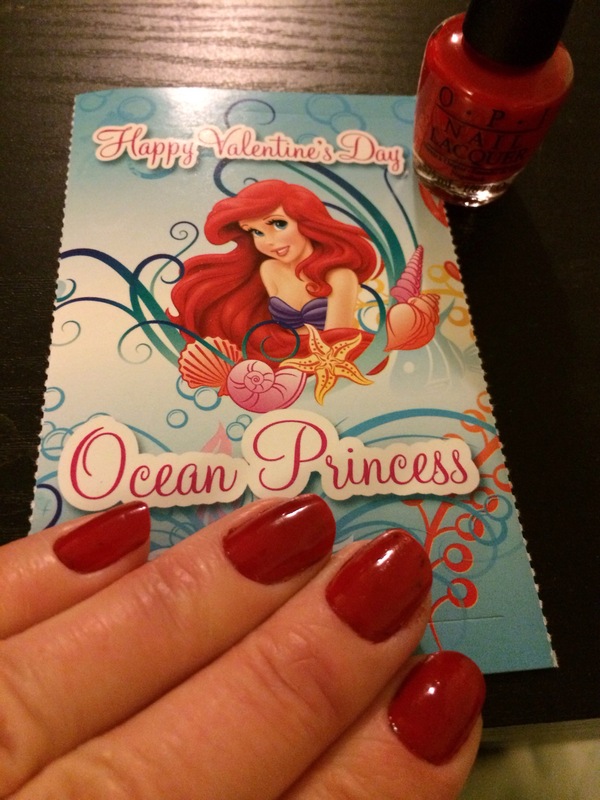 It also matches Ariel’s hair on the Valentines I got to send to a few friends. Four days are left until the big day of love!